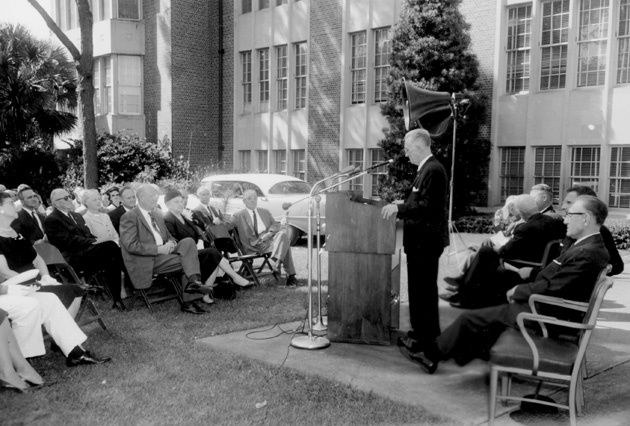 Dedication of Tigert Hall on Oct. 15, 1960. E. H. Bone Photo Collection. Photograph 2910 from the University Archives Photograph Collection.